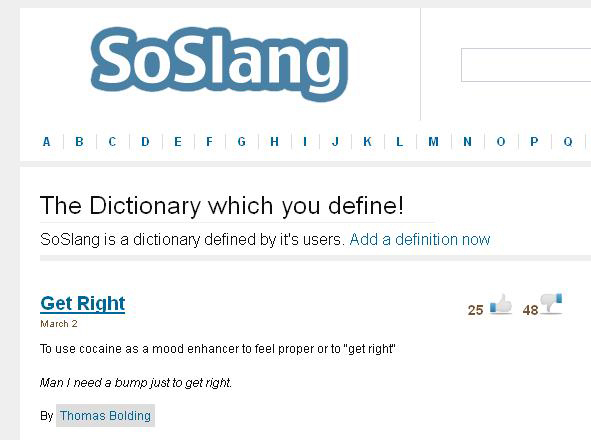 SoSlang is an un-complicated online slang dictionary which is contributed and edited by thousands of people online just like you. As we all know, the world is changing every second and so is the way of communication. As the youth of today takes over the corporate world, the official language of the boardroom is also going to get a huge pep. So, how does one keep up with this metamorphosis? You will be able to find the alphabetically organized listing of all the different words that can be found, and to find them, you just have to select a letter. 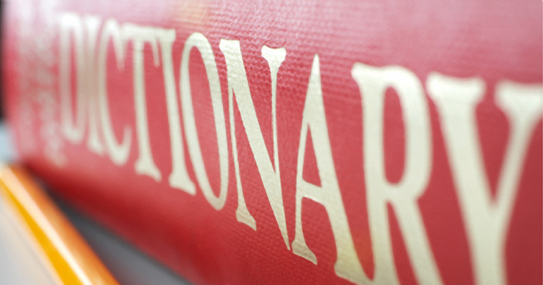 Once you select the letter you are interested in looking into, you will be able to find a long listing of different words, alphabetically organized, with the word and its definition beside it, you will also be able to find an example for your better understanding of the word within a sentence and last but not least be able to rate it. With Soslang of each word you may have more than one meaning because everyone can post their words and sometimes they could be repeat it. For those who know what they are looking for, a search box is present on the top of each page for easy search. Find the one best rated. If you have words to add in this slang dictionary just do it, you only have to follow some rules such as write for a large audience, give background information so they understand your entry, don’t name your friends and don’t advertise your web site. So if you are interested in learning some of the words you were embarrassed in asking for their meaning, you can skip that and learn by yourself within this site, where you can also look into the recent words submitted, or even refer this site to a friend. So, log on to SoSlang official website and find out about the most popular soslangs on the street.